You can display the time set on your device by adding the time widget into one of your zones. Select your designated zone and enter the zones playlist by double clicking on the zone, or click 'Edit Zone Playlist'. 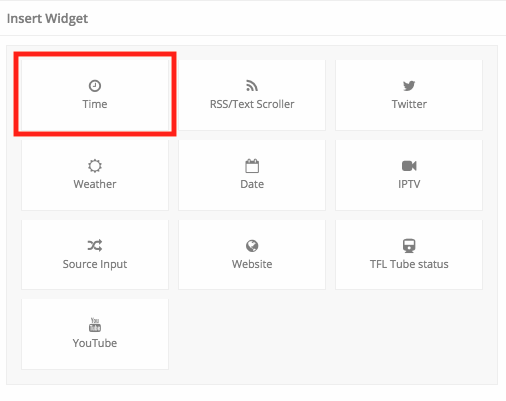 Click 'Widget' and select 'Time' to insert the time widget. Now the settings have been configured, we can customise how the clock displays and what it looks like. Do this by clicking the blue 'Customise' button on the right hand side. 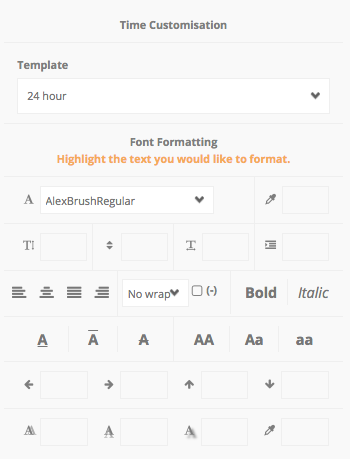 Here you can change the style of the clock, simply highlight the clock and begin customising the formatting settings. You can also decide if you want to display a 12 or 24 hour clock.